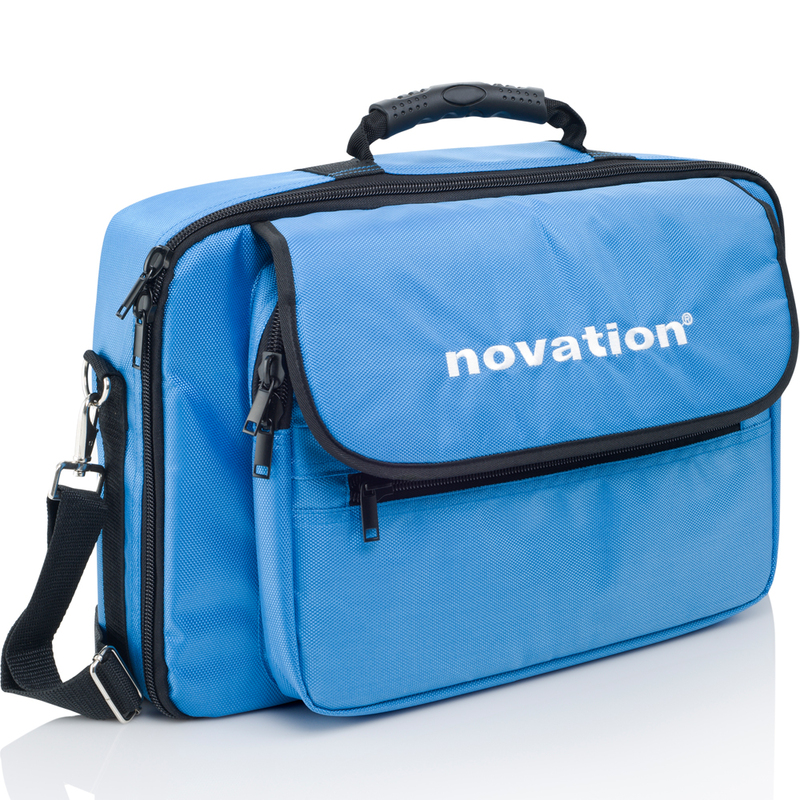 This bundle includes the Novation Bass Station II and the official protective bag. 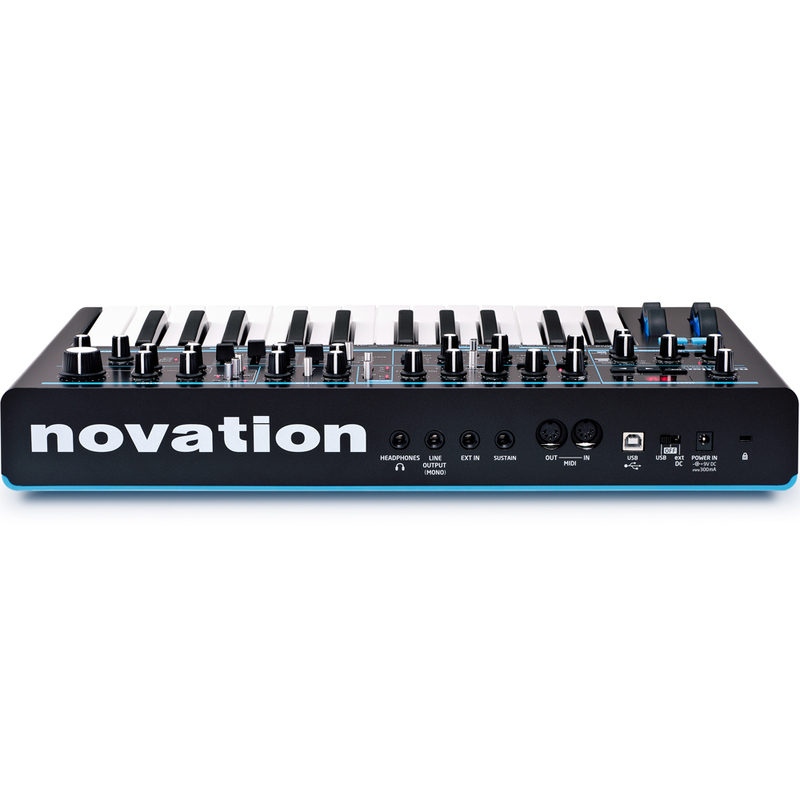 The Novation Bass Station II is an analogue mono-synth based on the classic Novation Bass Station but with a much bigger sound, bringing the best elements of the original together with re-worked modulation, effects, filters and more. 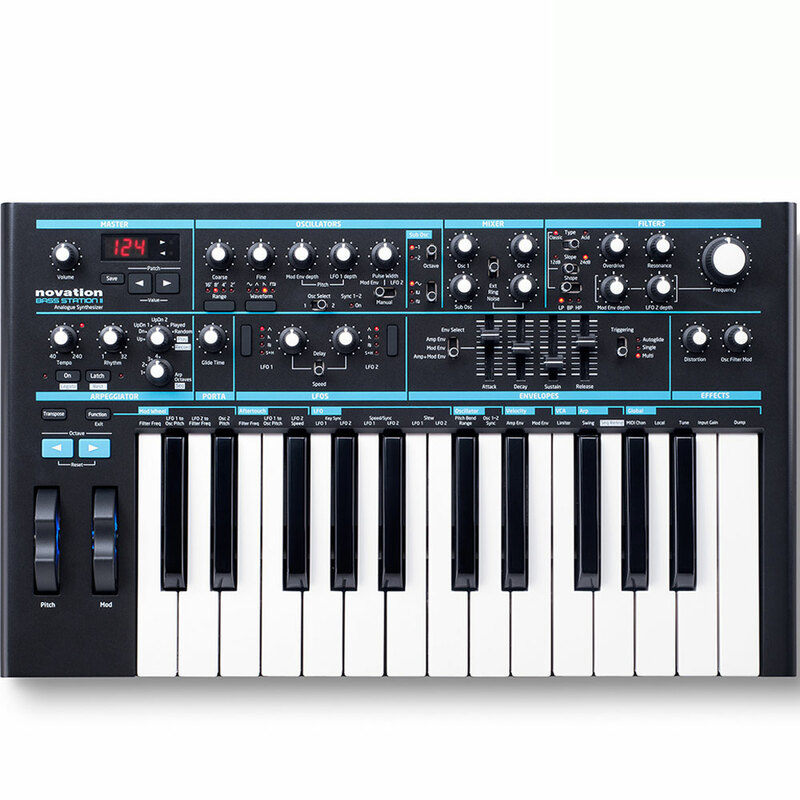 It has two filters, two oscillators plus a third sub-oscillator, patch save, and an effects section. 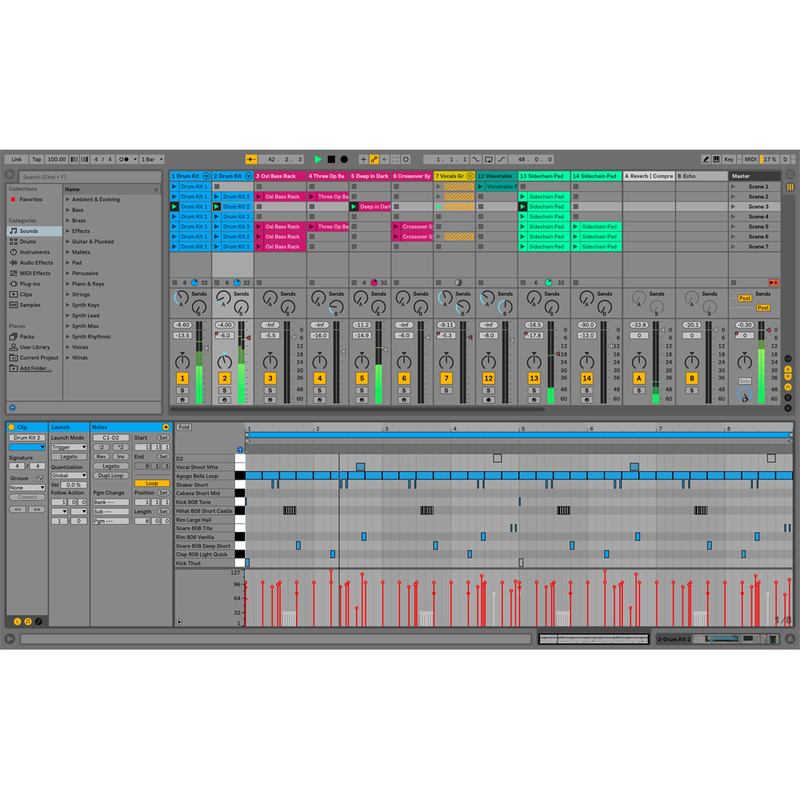 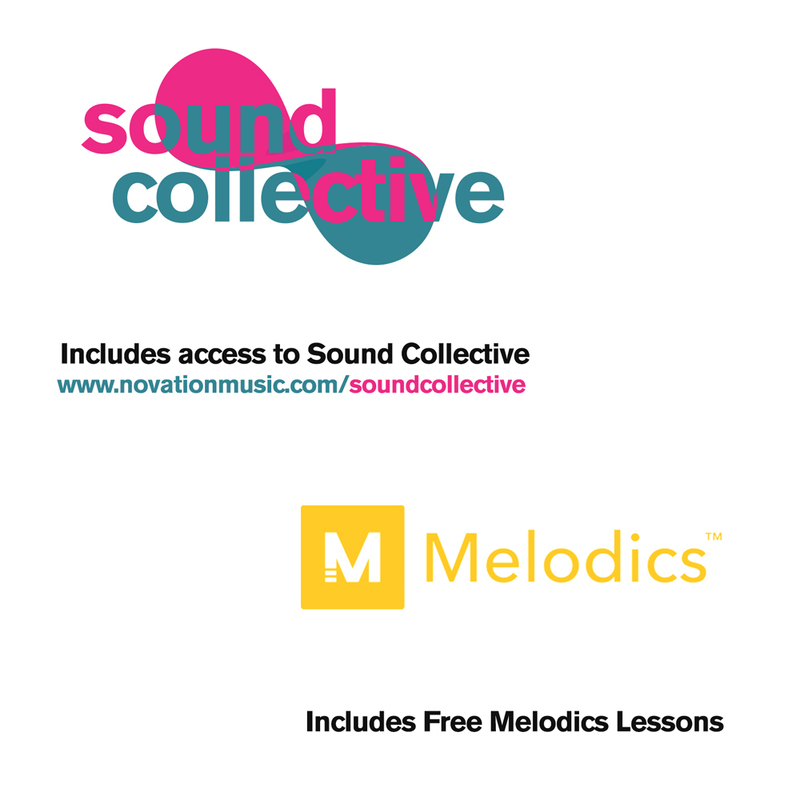 Add a step sequencer, arpeggiator, full sized keys and a powerful modulation section and you have the makings of a synth that is built for bass, but with a sound-engine that is versatile enough to kick out sharp leads and and crisp arpeggios. 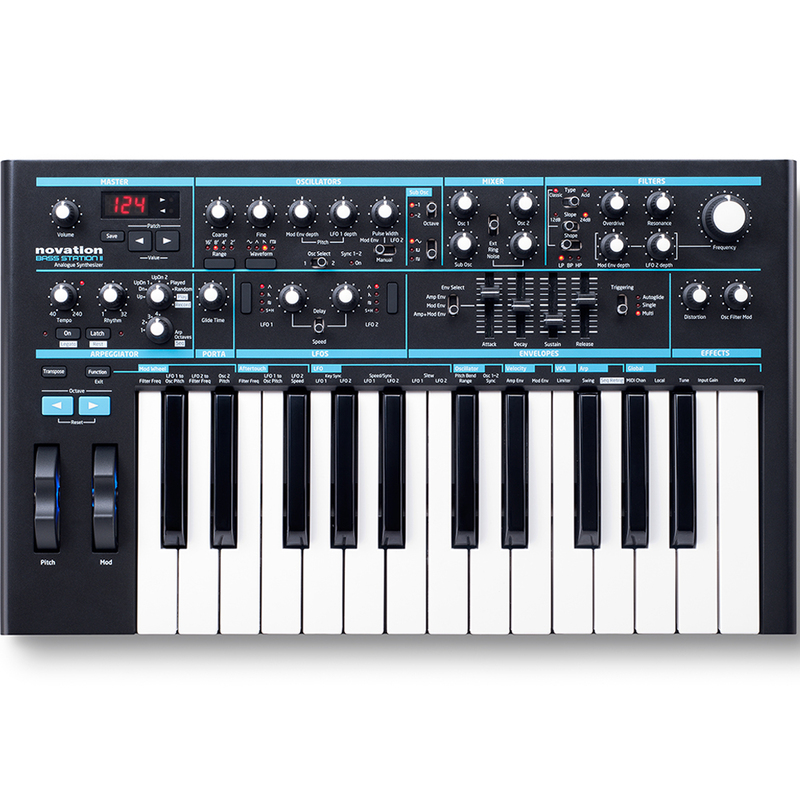 The signal is pure analogue – including the effects section. 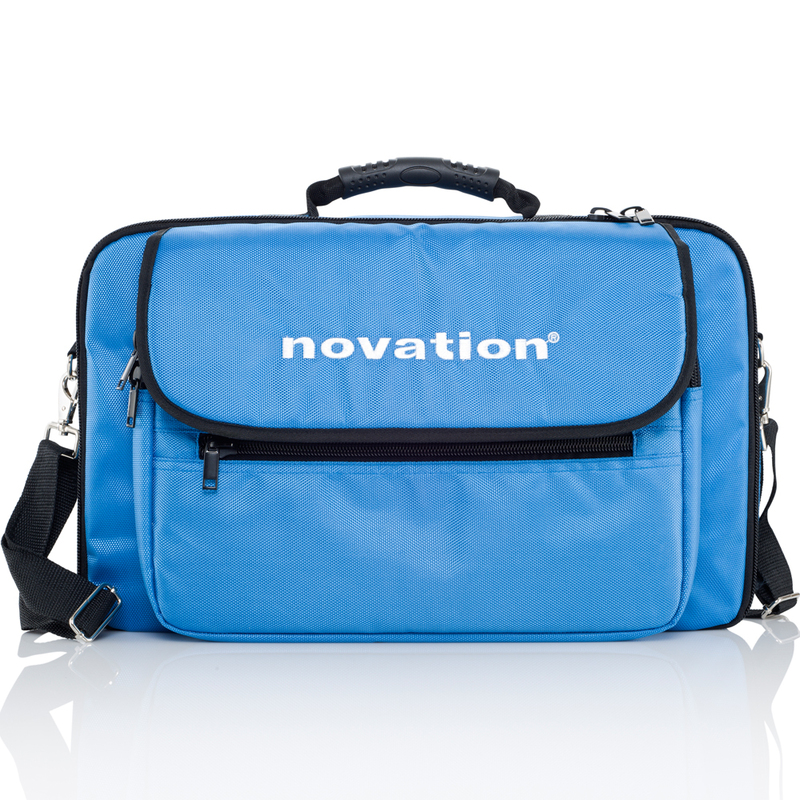 The hardware has been laid out in modules with dedicated ports, switches, sliders and buttons for all major parameters. 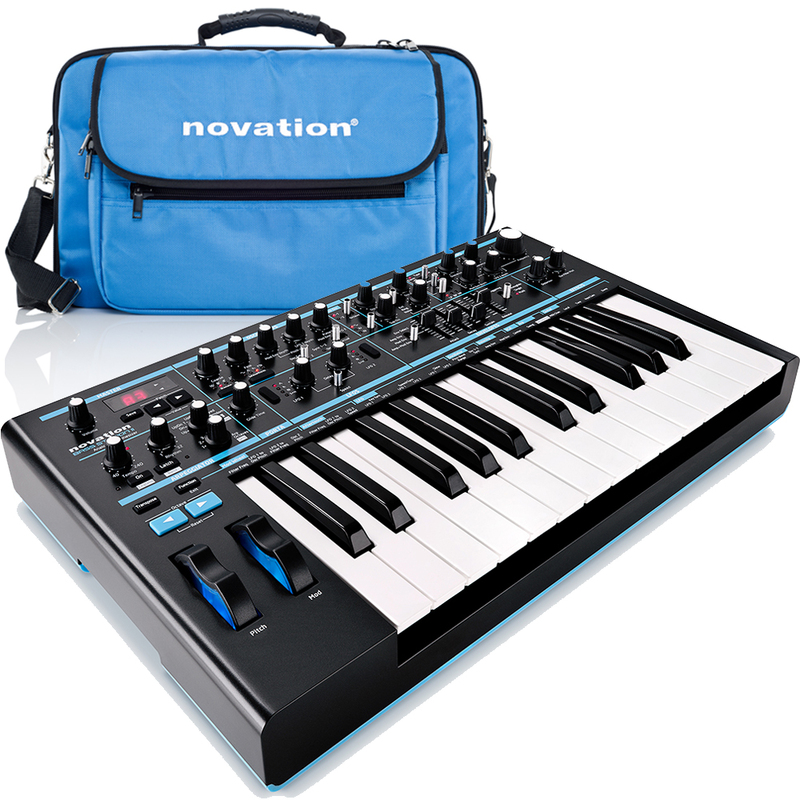 Critically, you can store and recall patches on the Bass Station II. 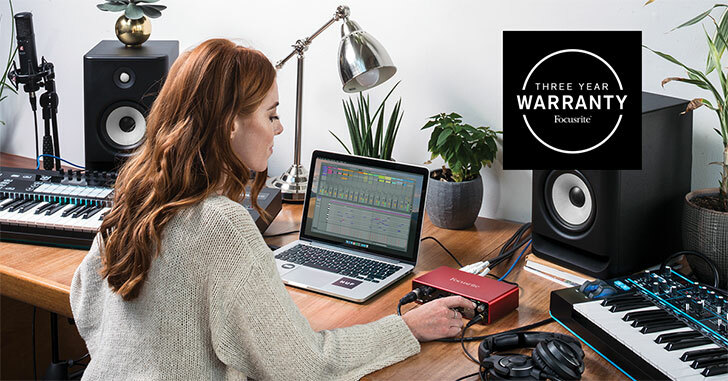 It comes with 64 killer factory presets, with space for 64 of your own on the hardware – and you can store more on your computer.